A physicist, Michael Cooke, creates a device which can teleport matter. Robert Masterson, a military officer contacts him and offers help to develop the technology. Cooke asks for an assistant, Celia Jones, and the two discover a way to send things through space and time. Masterson tells them he’s bringing together some experts in a number of scientific fields (the Jump Team), including ecology, environmental science, palaeontology and engineering, to go back in time and carry out measurements which can be used to help slow the worsening state of the planet. Meanwhile the EARTH Force (EF), a harmless group of environmental terrorists run by an ineffectual hippie named Jonathan Dent, meet at a secret location and are introduced to some new members, one of whom, identifying himself only as “Darwin”, seems not to be there for the same reasons as the rest of the group. Unbeknownst to the Jump Team, one of their members is part of the EF and is covertly taking the machine. These trips are being organised by Darwin, who is coercing members of the EF into helping him through blackmail and bribery. As he reveals his plans it becomes apparent that his motives are not driven by his love for the environment. The Jump Team have to identify the interloper, defeat the terrorists and travel back in time to fix the problems caused by the EF, which are affecting present day conditions and could ultimately lead to the annihilation of the universe from the spacetime continuum. To buy this book please go to Amazon and search for Dan Ladle, or click on the correct link for your country at the bottom of the page. I wrote this short introduction for the Amazon page. ‘What, was I meant to make more of that last bit? Um, so this time machine we travel around in, the Jump Box, is apparently being taken by a group of eco-terrorists and used to change the past, which is messing up the weather and, frankly, not doing good things to my hair. Transcript of recording, recovered from jump base three weeks after the events covered in the novelisation of events entitled “Jump”. Jump is a fast paced adventure through space and time but grounded firmly in the real world, encompassing millions of years into the past, two weeks into the future and a good percentage of the landmasses of the planet. 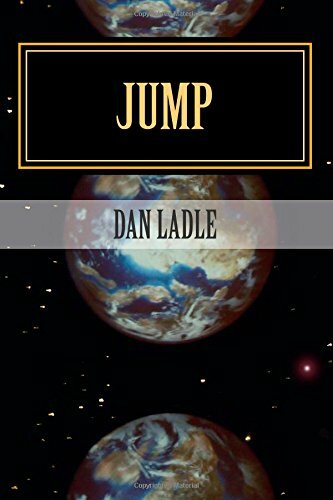 With nods to Michael Crichton, Isaac Asimov and Stephen Baxter but with a style all of his own, Dan Ladle draws on experiences from his life, along with new scientific developments and a vivid imagination. He is an exciting new author with a brain full of ideas. Dan is not a scientist, nor is he a historian or indeed a savant or a polymath. However, he is interested in the world and how it works and is always trying to find outlets for his fizzing neurons. Dan lives in Perth, Western Australia with his wife, his son and their cat, Snuggles. To sign off I’ll leave you with the final comment from my Dad (who you can find in a bit part, very slightly disguised, towards the end of the book). Buy it, read it, see if you agree!